Jonathan Rosenbaum discusses Cinematic Encounters: Interviews and Dialogues. He will be joined in conversation by Ignatiy Vishnevetsky. A Q&A and signing will follow the discussion. About the book: Godard. Fuller. Rivette. Endfield. Tarr. In his celebrated career as a film critic, Jonathan Rosenbaum has undertaken wide-ranging dialogues with many of the most daring and important auteurs of our time. 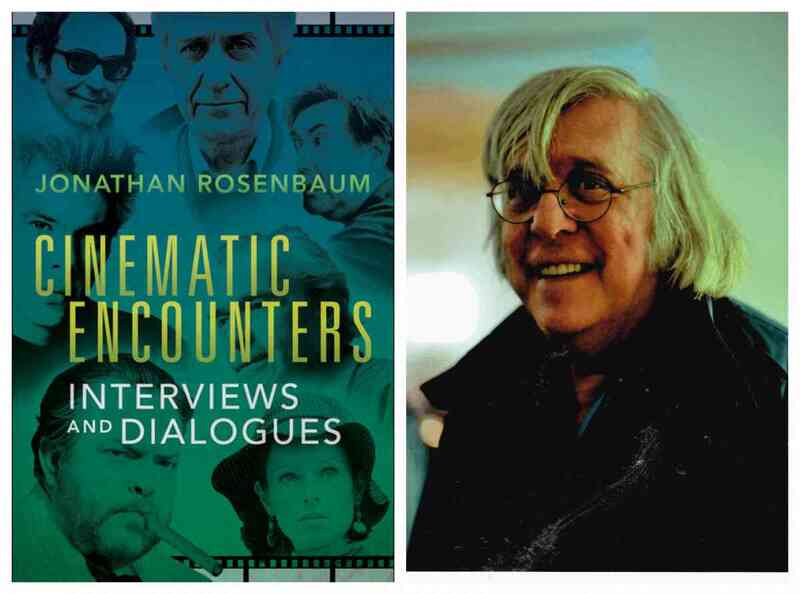 Cinematic Encounters collects more than forty years of interviews that embrace Rosenbaum's vision of film criticism as a collaboration involving multiple voices. Rosenbaum accompanies Orson Welles on a journey back to Heart of Darkness, the unmade film meant to be Welles's Hollywood debut. Jacques Tati addresses the primacy of décor and soundtrack in his comedic masterpiece PlayTime, while Jim Jarmusch explains the influence of real and Hollywoodized Native Americans in Dead Man. By arranging the chapters chronologically, Rosenbaum invites readers to pursue thematic threads as if the discussions were dialogues between separate interviews. The result is a rare gathering of filmmakers trading thoughts on art and process, on great works and false starts, and on actors and intimate moments. About the author: Jonathan Rosenbaum was film critic for the Chicago Reader from 1987 to 2008. His books include Goodbye Cinema, Hello Cinephilia (2010), The Unquiet American: Transgressive Comedies from the U.S. (2009), Discovering Orson Welles (2007), Essential Cinema: On the Necessity of Film Canons (2004), Movie Mutations: The Changing Face of World Cinephilia (coedited with Adrian Martin, 2003), Abbas Kiarostami (with Mehrnaz Saeed-Vafa, 2003; expanded 2nd edition, 2018), Movie Wars: How Hollywood and the Media Limit What Films We Can See (2000), Dead Man (2000), Movies as Politics (1997), Placing Movies: The Practice of Film Criticism (1995), This is Orson Welles by Orson Welles and Peter Bogdanovich (edited, 1992), Greed (1991), Midnight Movies (with J. Hoberman, 1983), Film: The Front Line, 1983, and Moving Places: A Life at the Movies (1980). He has taught at Béla Tarr’s Film.Factory in Sarajevo (2013-2015), the National Film School of Iran (2018), and at the School of the Art Institute in Chicago (where his course and film series devoted to Orson Welles starts at the Gene Siskel Film Center in late January 2019). He maintains a web site archiving most of his work at jonathanrosenbaum.net. About the interlocutor: Ignatiy Vishnevetsky is a writer and critic. He was the staff film critic for The A.V. Club until 2018. He lives in Chicago.